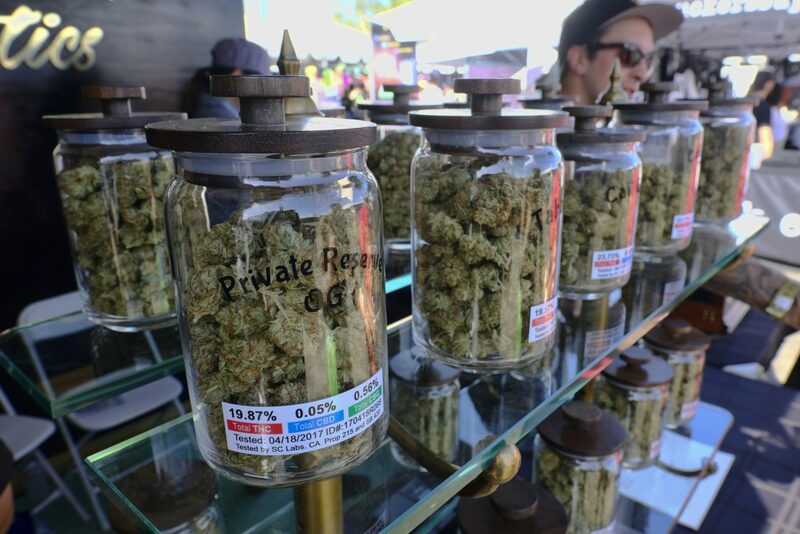 FILE - In this April 23, 2017, file photo, large jars of marijuana are on display for sale at the Cali Gold Genetics booth during the High Times Cannabis Cup in San Bernardino, Calif. California is kicking off recreational marijuana sales on Jan. 1, 2018, but there will be plenty of confusion as the new market takes shape. 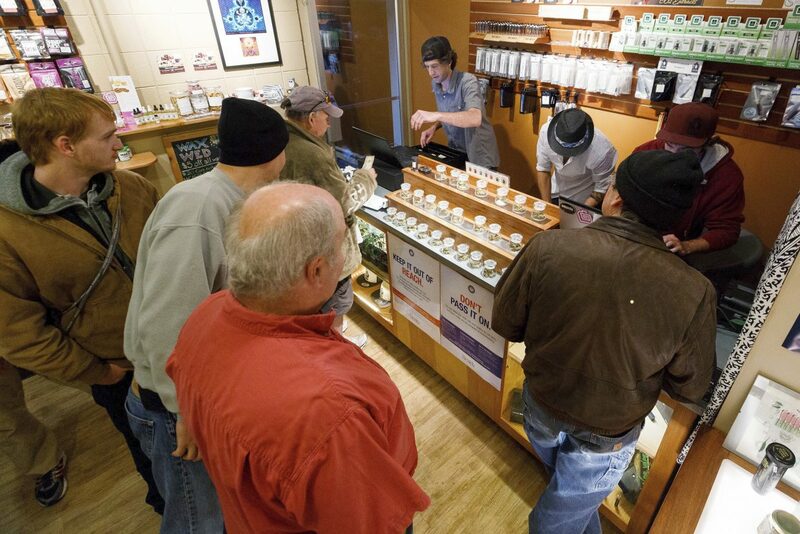 Some places are banning sales, while only a small number appear ready to issue licenses. LOS ANGELES — Ready or not, California kicks off recreational marijuana sales on Jan. 1. And, mostly, it’s not. Los Angeles and San Francisco are among many cities still struggling to fashion local rules for pot shops and growers. Without the regulations, there could be limited options in many places for consumers eager to ring in the new year with a legal pot purchase. The state expects businesses that receive licenses will only work with others that hold them. But that has alarmed operators who wonder what will happen if their supplier, for instance, decides not to join the new legal market. Others say it’s not clear what could happen in cities that don’t enact pot laws, which they warn could open a loophole for businesses to set up shop. 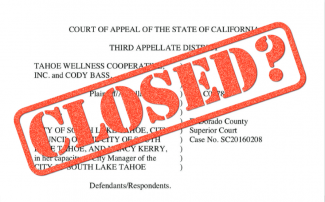 Some communities have banned recreational sales completely. 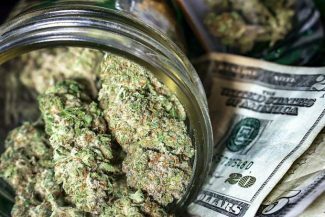 Most banks continue to refuse to do business with marijuana operators – pot remains illegal under federal law – and there are also problems obtaining insurance. With recreational legalization fast approaching, “we don’t have enough of anything,” lamented Hezekiah Allen, executive director of the California Growers Association, a marijuana industry group. The route to legalization began last year when voters approved Proposition 64, which opened the way for recreational pot sales to adults in the nation’s most populous state. Unlike the state, cities and counties face no deadline to act. However, the concern is that confusion and a patchwork of local rules could discourage operators from entering the legal economy, feeding a black market that could undercut the legitimate one. 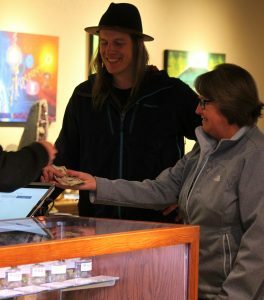 Local regulation is a foundation block of the emerging pot economy: A grower or retailer needs a local permit first, which is a steppingstone to obtaining a state license to operate. But those rules remain in limbo in many places. San Jose, the state’s third-largest city, has a temporary ban on sales other than medical pot but officials this week proposed hearings to take another look at how to regulate the local industry. Kern County, home to nearly 900,000 people, has banned the sale of marijuana even as California legalizes it. Supervisors said they see it as a danger to citizens and also voted to phase out more than two dozen medical marijuana dispensaries. In Los Angeles, which by some estimates could be a $1 billion marketplace, voters have been strongly supportive of legal pot. But its proposed regulations hit snags, including a dispute over a proposal for so-called certificates of compliance, which operators feared would not meet qualification requirements for state licenses. Adam Spiker, executive director of the Southern California Coalition, an industry group, warned last month that L.A.’s draft rules could upend the emerging industry by failing to provide a prompt way to license suppliers, potentially forcing then to shut down. And he’s dubious that the city will be ready to begin issuing licenses on Jan. 1. “There’s not a lot of calendar days left in the year,” he said. San Francisco, another city that strongly supports legalization, still is debating local rules. Again, it’s uncertain what will be ready, or when. “What we want to do is bring everything into the daylight, regulate it, get fees for the cost of regulation and collect taxes as appropriate,” said county Supervisor Jeff Sheehy. San Diego is among the cities ready to get the recreational market going. Phil Rath, executive director of the United Medical Marijuana Coalition, a San Diego trade group, said years of disorder in the medical market led to increased black market business. That provided a ready example of how not to manage recreational sales. San Diego moved promptly, setting up a system that will allow recreational sales at dispensaries permitted under the medical system, once they qualify for a state license. Industry experts say the distribution system – a sort of main artery where pot will be received from growers, sent out for testing, taxed, and eventually shipped to retail stores – is not robust enough to support the vast new market. The distributor model “was the subject of most of the political wrangling over the last two years,” Allen said.